I think last week may have been our final week of warm, summer-like temperatures. We have had an amazing fall, and have been enjoying spending evenings outdoors cooking and playing without needing jackets - I love it! Even though it's getting cooler we will still grill. Heck, Jon will even shovel a path to the grill if we have snow on the ground. But luckily last week he didn't have to do that, and was able to stand outside in the warm sunshine while grilling up some shrimp. 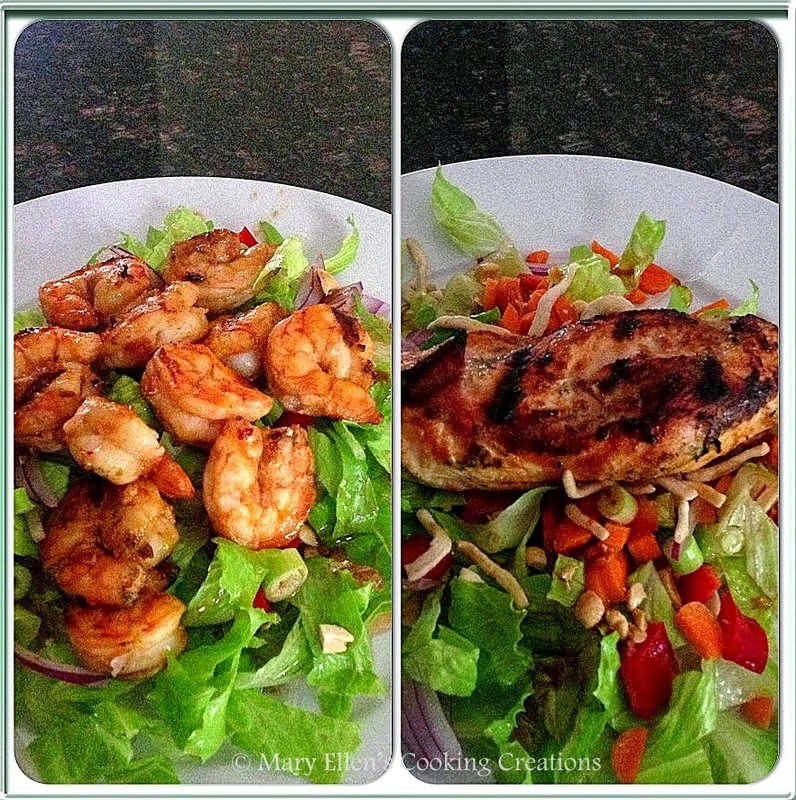 I picked up some shrimp for Jon not knowing what I'd do with it until I realized I was craving this Grilled Chinese Chicken Salad with Sesame Dressing that I first made last year. I used it as my inspiration for this Spicy Grilled Shrimp over Asian Romaine Salad. I created a spicy marinade, used the dressing recipe from the original salad, added some rice noodles, and changed up the salad ingredients a bit. Jon liked this one - great flavor, a bit of heat, quick and easy, and healthy. I'd say that's a successful meal. I made the same dinner for myself, but used a chicken breast instead of shrimp. Mix the soy sauce, garlic, ginger, rice vinegar, sesame oil, and chili garlic sauce. Pour over the shrimp and marinate in the fridge for 4+ hours. Heat a grill to 400 degrees. Place skewers on the grill and cook approximately 4 minutes per side, until cooked through. 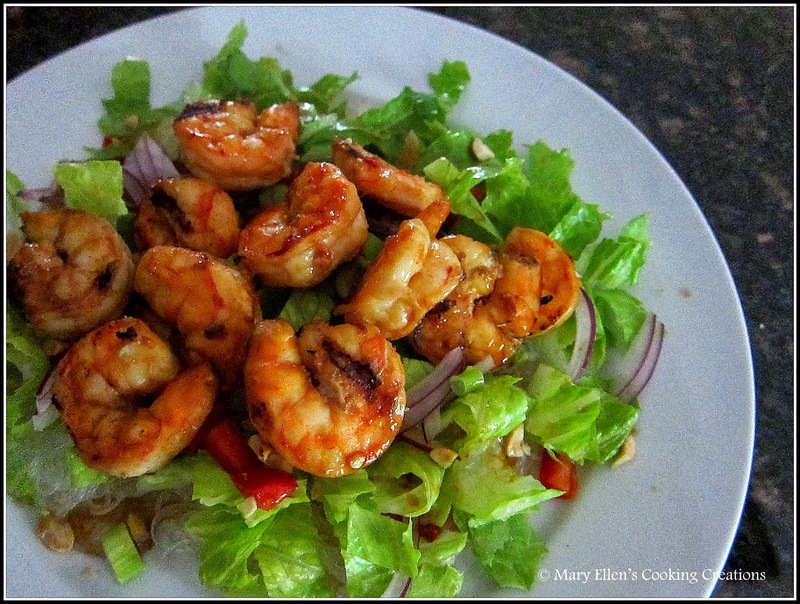 Remove shrimp from the skewers and place atop the salad. Other items you could add: fresh bean sprouts, cooked pasta noodles, baby corn, cilantro, cucumbers, radishes.